If you want to use your activated CleanMyMac license on another Mac, you can either reset it manually or refer to our License Management systems. Open your unlocked version of CleanMyMac X. Go to CleanMyMac X → Activation Info. Click the Deactivate License button in the Activation Info dialog. To confirm your decision, click Disable License. Enter an email that you used to purchase the license and click Search. If the email address is found, click Send Link. Now check your inbox for an email from MacPaw.com. 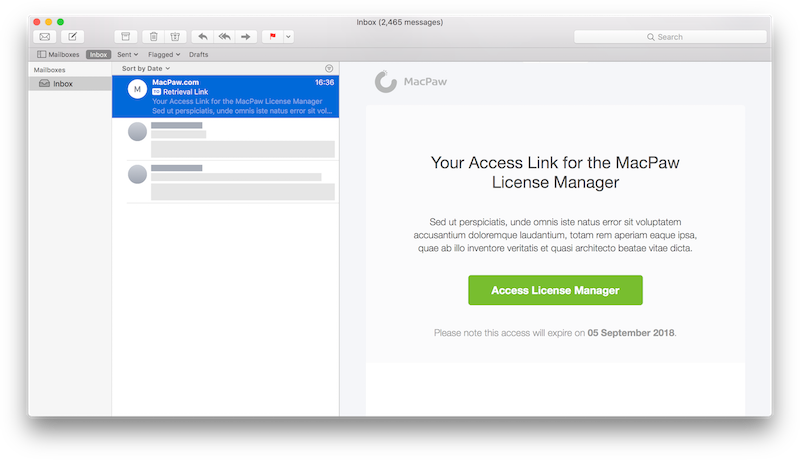 Click Access License Manager. This transfers you to the License Manager, where you’ll see a list of your licenses and subscriptions. Find the appropriate license and click Reset next to it. If you only need to find out your activation ID, click Copy. Please let us know if you still need some help.